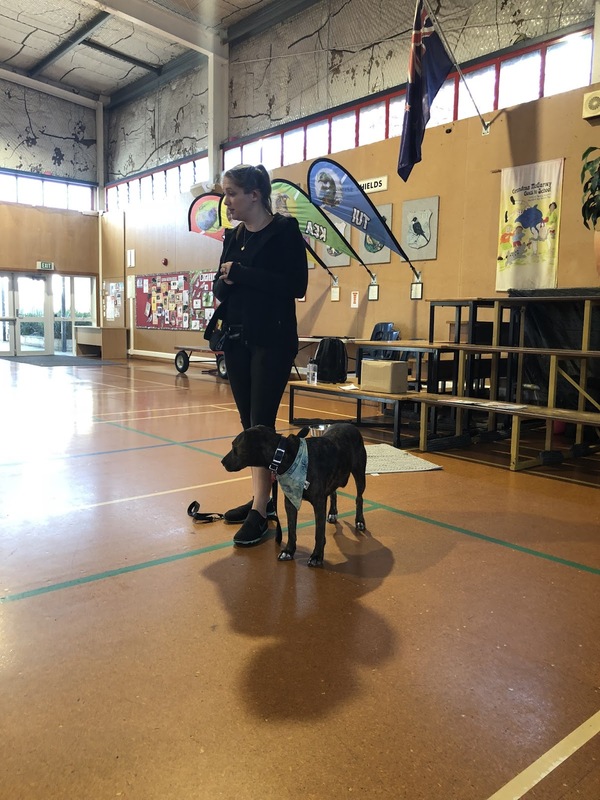 Yesterday we went to the hall to learn about being safe around dogs. 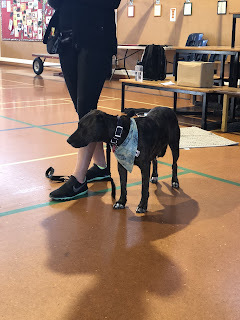 We met Laura and her dog Kai. 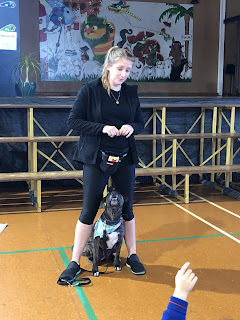 Laura told us all about being safe around dogs and what we should do if we want to pat someone's dog. 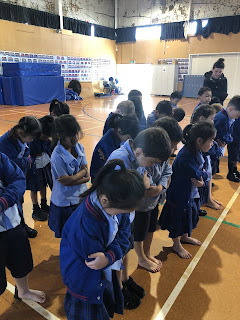 Laura taught us how to stand like trees and wrap our arms up if there is a dog around and we are a bit scared. Kai walked around and we did so good at standing as still as a tree! Laura also showed us some of Kai's tricks. He is very clever! 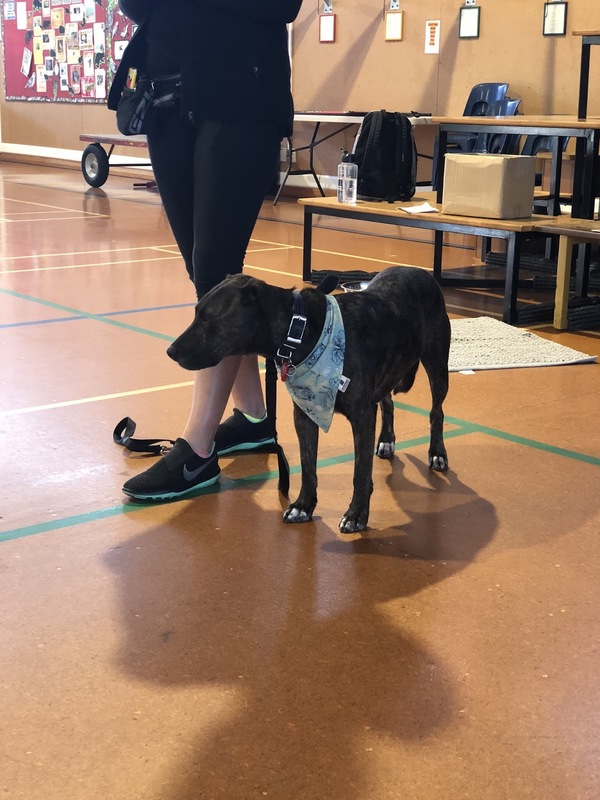 Great learning that if you see a dog you want to pat, you need to ask the owner first. If the owner says yes, you should pat the dog on the back or on their sides. 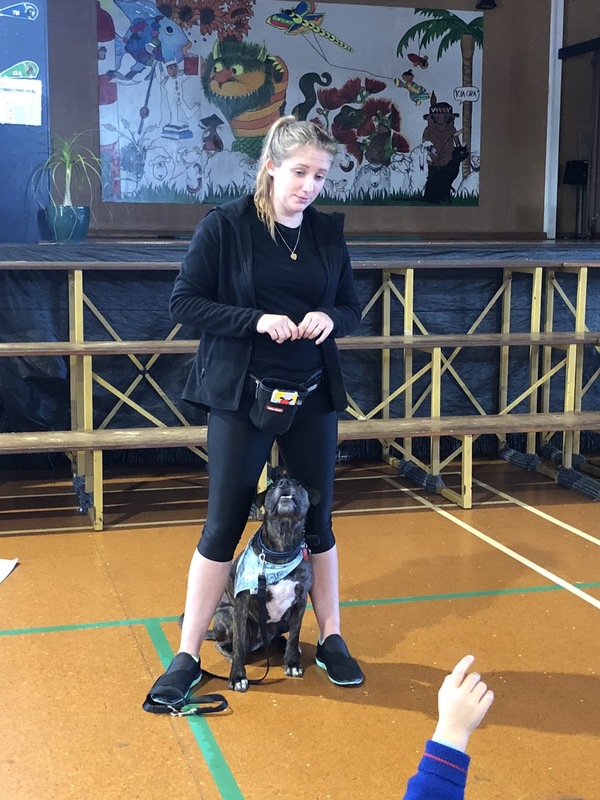 Such important Learning for Life skills were shared today to be safe around dogs. I hope that you remember these rules to keep safe and enjoy dogs.